These are fast-changing times. All of us of a certain age remember when touch-tone phones and digital watches were the apotheosis of modern technology. Now, kids barely talk on phones and instead of wristwatches, they use their… wait for it… phones. The pace of change is dizzying. It took mankind about 5,300 years to go from the invention of the wheel to driving cars. It took us 18 years to go from the car to the airplane. And by the time we were finished going to the moon, airplane travel was more common than bus travel. Now, it’s just a matter of time before tourists start taking spring break in orbit. Change is good. Change is inevitable. But change doesn’t mean we must abandon all the things that made us who and what we are. 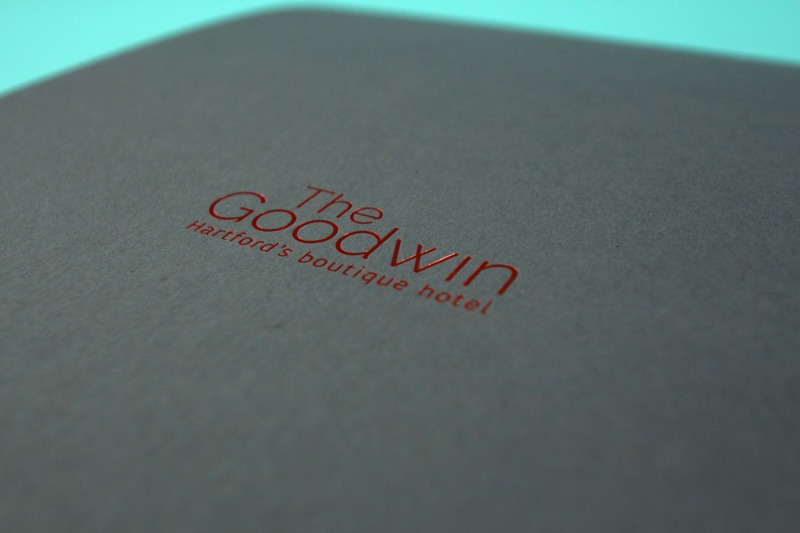 These things occurred to us as we were working with our client, RMS Companies, to design the new logo and entire brand strategy and identity for the recently remodeled and reopened Goodwin Hotel in downtown Hartford, Connecticut. The Goodwin is an iconic building that dates back to 1881. When RMS bought the property and decided to completely gut and remodel it, the designers knew that today’s traveler expects a certain level of modernity and comfort in their hotel accommodations. And yet, RMS wanted to remain true to the historic character of the building. We had many discussions on how to build a brand identity that embraces the best that modernity has to offer, while celebrating the time-tested nature and character of the architecture. We are very proud of the results and we are thrilled and honored to play a role in the revitalization of this great old building and of downtown Hartford. Progress does not have to mean discarding the past and our shared history, as the folks at RMS have clearly demonstrated with the Goodwin. Every bit of progress we make today has its roots firmly planted in the past. The foundations of history and our communities are great places on which to build a modern, better world.